By December, summer fruits are a distant memory: except for those shipped from South America. For closer-to-home fruit, ‘tis the season for citrus. During the winter, citrus fruit is grown extensively in Florida and California, so it’s widely available across the United States for several months. 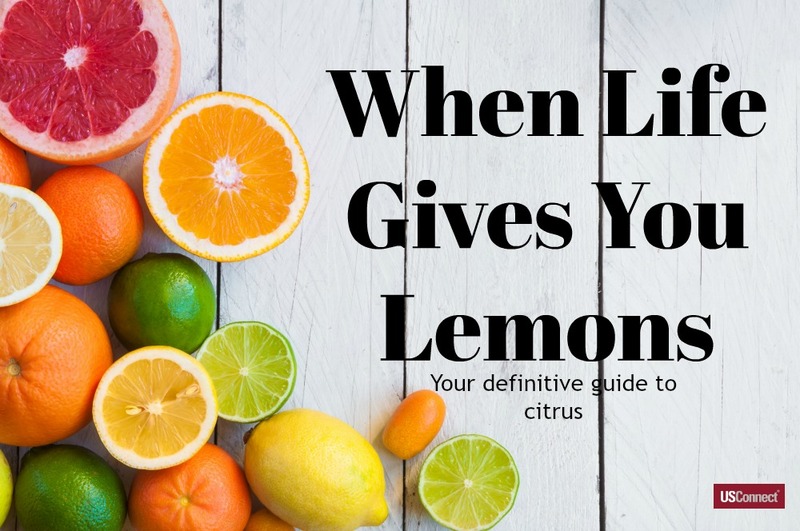 We recognize citrus for its tough, bitter outer rind, its soft white inner layer, and its delicious, juicy, sweet/sour inside. Most citrus is very high in vitamin C, fiber, and antioxidants called flavonoids, so it’s an excellent, healthy snack. Here’s the inside scoop on our favorite winter fruit. Pomelo (citrus maxima) is the largest commonly available citrus fruit. One of the four original (non-hybridized) citrus fruits, the pomelo looks like—and tastes like—a large, sweet grapefruit, but it’s a little less bitter. Grapefruit (citrus paradisi) is an accidental hybrid of the pomelo and the orange. It is actually higher in sugar than many other citrus fruits, but its high citric acid and ascorbic acid content can make it taste sour. Because of its high acid content, grapefruit and grapefruit juice can interfere with many medications, so check your medicine bottles before enjoying. Orange (citrus × sinensis) is one of the easiest-to-find fruits, not only in the winter, but all year long. Naval oranges, with their thick skins and sweet taste, are most common, but look further to find blood oranges, Valencia, and Cara Cara varieties; they each have a different flavor, texture, and juice. Try a taste-test! Mandarin (citrus reticulata) is actually a form of orange. Mandarins are smaller than many oranges, and their skin is often looser, so they’re easier to peel. Common mandarin breeds are clementines, tangerines, and satsumas. Of these, clementines are the easiest to find. Often sold in large bags or boxes, they are seedless and easy to peel, making them lunchbox favorites for adults and children alike. Kumquat is the smallest citrus fruit: about the size of an acorn. Its skin is so soft that the fruit can be eaten whole, either fresh or candied. Thinking About a Detox Fast or Cleanse? Read This First. 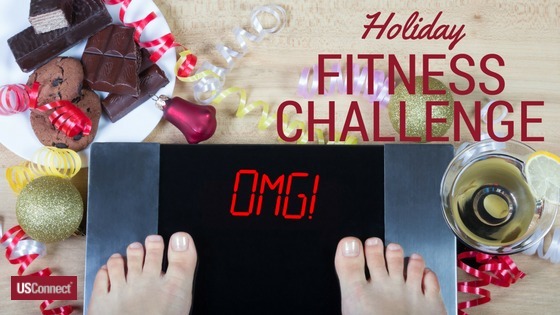 Thanksgiving is over, and it’s hard to avoid looking for an easy way to reverse the damage from several days of overeating. You might be especially tempted by drastic quick-fix solutions like cleanses, detoxes, and even fasts. These terms are not synonymous, but they all require eliminating almost all solid food from your diet and replacing it with liquids like juice, tea, or even just water. The programs are all fairly short-term, but they are very extreme. 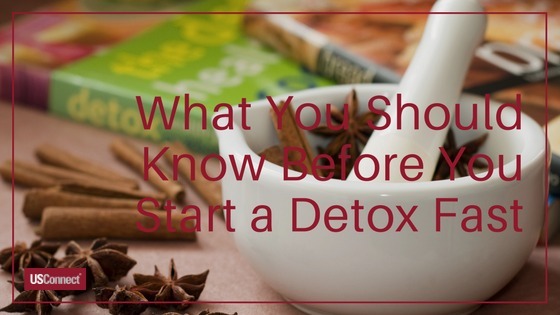 The idea behind detoxes—clearing the body of poisons, or toxins—is ancient; from sweat lodges to bloodletting to enemas, many cultures have embraced the practice of flushing bad substances from the body. While the practice died out in many Western cultures throughout the 20th century, it has come back with a vengeance in the 21st. When looking online or through magazines for healthy ways to lose weight, it’s impossible to avoid advertisements for 24-hour juice cleanses or pills to detoxify your liver. Many cleanses and detoxes focus on the liver, since the liver’s job is to purify your body of toxins. Toxins in our bodies come from both within our bodies and without, and include environmental chemicals as well as “lifestyle toxins” like nicotine and alcohol. The liver “turns potentially harmful chemicals into water-soluble chemicals that can be sweated or excreted from the body.” Many products also focus on the colon—through liquid and high-fiber diets, or even through “colon-cleansing” enemas. These cleanses basically make you spend a lot of time in the bathroom until there’s not much left in your digestive tract. While many celebrities and “celebrity medical personalities” may endorse these extreme fad diets and purges, most scientists and doctors agree that they bring no long-term benefits, and may actually cause harm. The hepatology (liver) department at Johns Hopkins School of Medicine recommends against any products that claim to cleanse the liver, and they are not regulated by the FDA and may even lead to “drug-induced injury.” The Mayo Clinic warns against colon cleanses, noting that they can cause dehydration, bowel perforations, increase the risk of infection, as well as less serious side effects like cramping, nausea, and diarrhea. Above all, most doctors and nutrition specialists agree that any weight loss from a fast or cleanse will be short-lived and will be reversed as soon as you go back to eating normally. So forget about the fast. Focus instead on healthy choices, like fresh foods with lots of fruit and vegetables. Your body is its own detox system, and if you let it do its job, all that turkey and stuffing bloat will be long gone by Christmas.